Ghost caught on camera in baby's room, Michigan couple say. "Creepy" things kept happening in Heather and Joshua's home. Then they saw a ghost on the baby monitor. 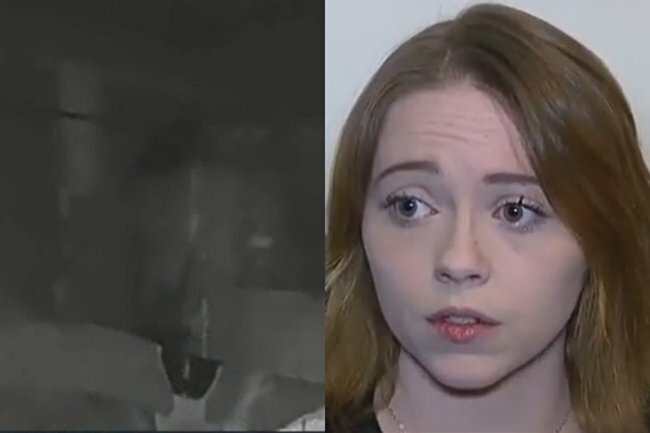 A young US couple has been left terrified after a baby monitor in their daughter’s room captured what looks a whole lot like a ghost on camera. The footage the couple have shared with local news station shows what looks like a ghostly figure streaming past their baby daughter’s cot. 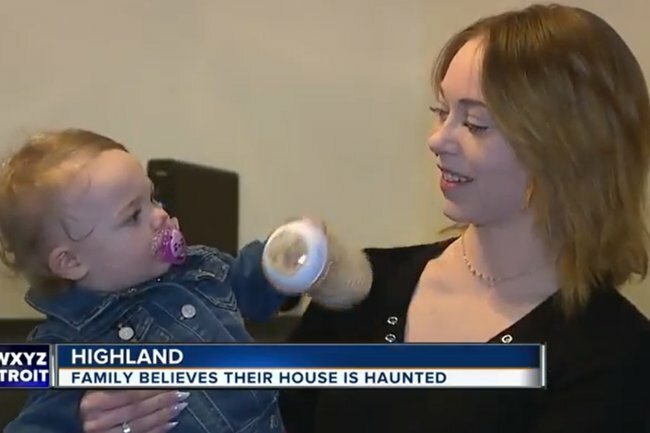 The Michigan parents, Heather Brough and Joshua Higgins, told ABC local station WXYZ Detroit that the “ghost” even left their daughter with injuries when it appeared a few weeks ago. 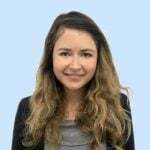 Heather said she saw the figure on the screen and ran to her daughter’s room, finding her with scratches on her face she claims weren’t there when she set the baby down for bed. Josh, meanwhile, said described the vision as “chilling” and said he couldn’t figure out what it could be besides a ghost. Heather and her daughter. Image: WXYZ Detroit. "It was literally a chill down your spin, like that &apos;what if&apos; factor – Is this what I just saw?" "I couldn’t get an explanation out of it so it&apos;s freaky is what it is." Heather said she had also experienced odd events in her home - such as waking up feeling as if hands were around her neck. According to WXYZ Detroit, the couple has sought the expertise of a team of paranormal investigators. However, they&apos;ve decided that rather than try to get rid of the "ghost" they will simply move as soon as they can afford to do so.